December 9th we are at Fluor from 6am to 12PM this is a Fluor driven food collection event. Last year we collected about 12 food donation boxes from this Company in 2 hours. Bonita Hamilton of Fluor organizes this event and her response from the employees is tremendous. 1) We are going to televise our campaign on CTV to inform the following events with Jeff Rogstad. 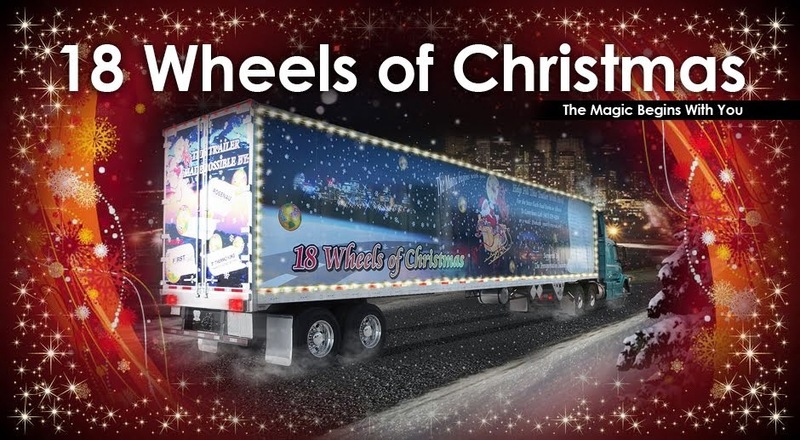 3) As well we plan to set up the 18 Wheels of Christmas trailer at three different mall locations accept donations, and raise money toward helping those in need. 4) We also have planned to set up donation boxes throughout different locations in the city. 5) There will also be the help of elementary schools putting together hampers of non perishable food items. With the money raised we will purchase much needed items for the Food Bank. Once again we are challenging others in the transport business, and suppliers to help fill this trailer. We will deliver the food on December 20th to the Saskatoon Food Bank and Learning Centre. Outstanding Carrie, We look forward to hearing more from Toon Town on the success of these collection efforts! Well we are just getting going with this. I am trying to get ahold of the local food bank to start this all off. I received our first $500 dollar donation within 15 minutes of sending out our invitation to all our friends out there. A very big thank you and well done to the crew at Crane Steel.